Introducing our exclusive limited-edition Prancing Bull XPA, brewed by our friends at Prancing Pony Brewery. 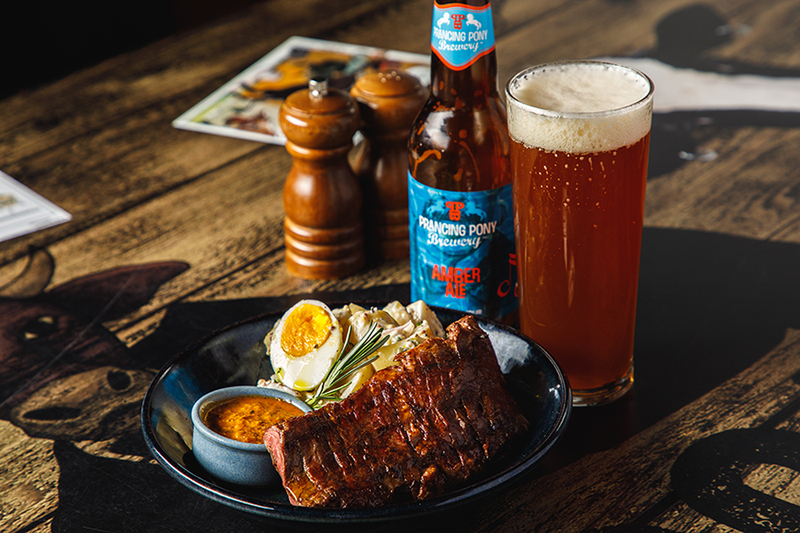 It’s the perfect lunch-time session ale, and now you can pair it with any of our Express Lunch options for only $19*. *While stocks last. Extras an additional charge. Not available with any other offer. For weekend lunches, please see "Dinner Menu"